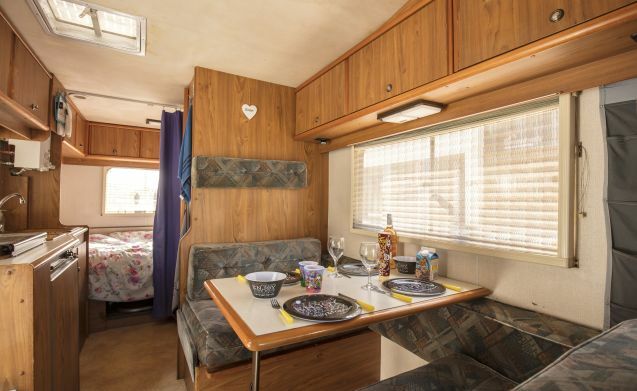 This solid alcove Chausson is from 1990 and offers a luxurious holiday accommodation for 6 people. 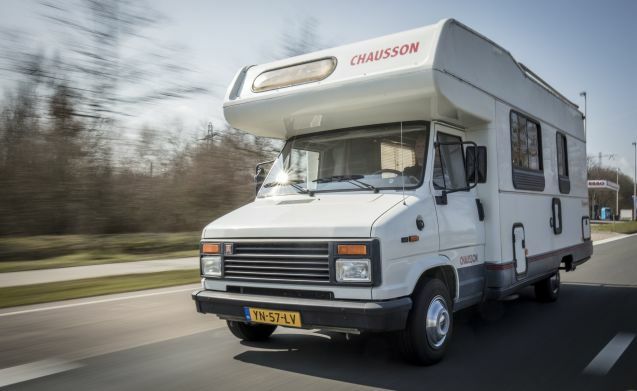 The Chausson is a solid diesel motorhome with good roadholding. Experience the ultimate feeling of freedom and enjoy a relaxed holiday. At the top of the alcove is the first double bed. This can also serve as storage space during the journey. In the middle is a 4 person train with dining table. This seat can also be converted into a double bed. In the back is a U-shaped seating area with table. This is also the third double bed. 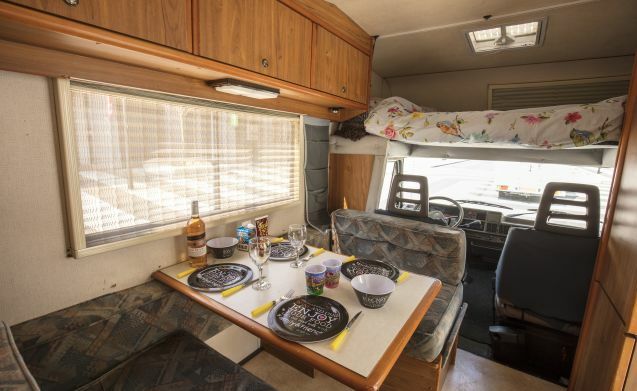 Extensive kitchen block, with gas stove, refrigerator and spacious cupboards. In the bathroom is the chemical toilet, a sink with faucet and a few cupboards. 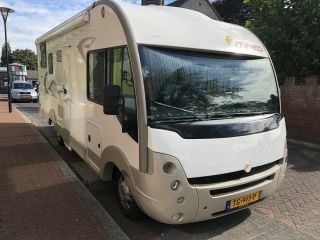 This camper is just bigger than a 4 person and offers just a little more space, in short, perfect to explore the Benelux and Germany. 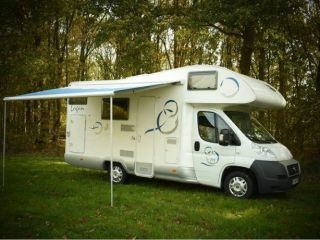 Luxury integral camper, can join WINTERSPORT! 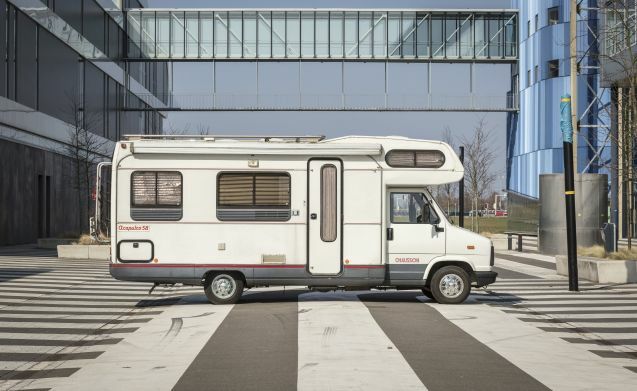 Neat 9 person camper holiday ready!